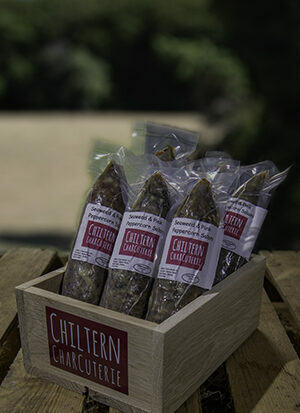 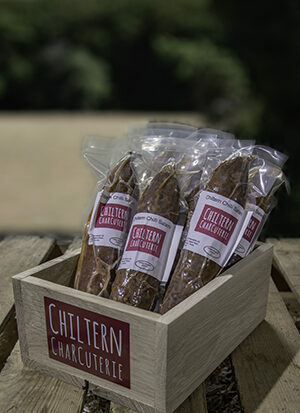 Winner of a Great Taste Award in 2016, our delicious and delicate Port & Garlic Salami is one of the finest British salamis available on the market. 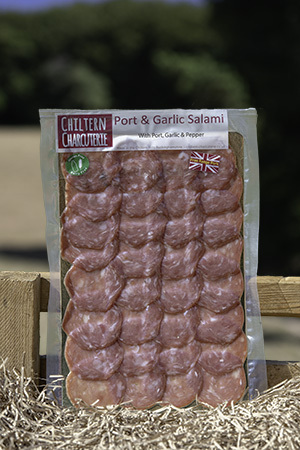 It is a winning combination of great pork with port, garlic and pepper that after being hung for four weeks develops a subtle and quite unique flavour. 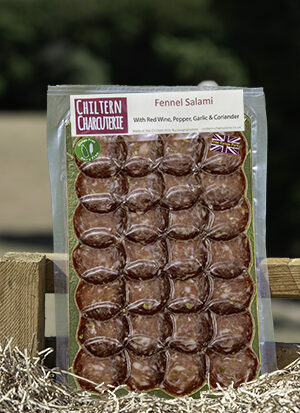 Sliced thinly to serve on a cured meats platter or partner with some peppery rocket for an Italian-style sandwich.